It’s actually very popular with the American people that the President would like to reset the table with regard to our relationship. It’s pretty clear the President is serious about renegotiating the nature of this relationship. And… if the Chinese are serious about supporting and promoting business growth in their country, they should understand that we need to be as serious about promoting business growth in our country. The cheating. The stealing. The coercion has got to come to an end. We’re seeing the signs that is the case, and now – with our booming economy – it’s the perfect time for this negotiation to take place. The Chinese government requires growth in order for it to perpetuate the dictatorship that runs that jurisdiction. In other free countries, you have breakers that go off to let you know when there are problems. That’s what a congress does. That’s what a free media does. They help send signals when there are problems. The circumstances in China are, since you don’t have… those solutions as tools to help guide you and steer you, you absolutely need to maintain the kind of growth that we aren’t truly seeing from China. They have a reputation that this land of growth is sustainable and is ongoing. But it’s starting to look like it’s been a lot of hype. It’s been a lot of misleading representations. And these things create problems for the Chinese leadership. The status quo isn’t gonna stay. 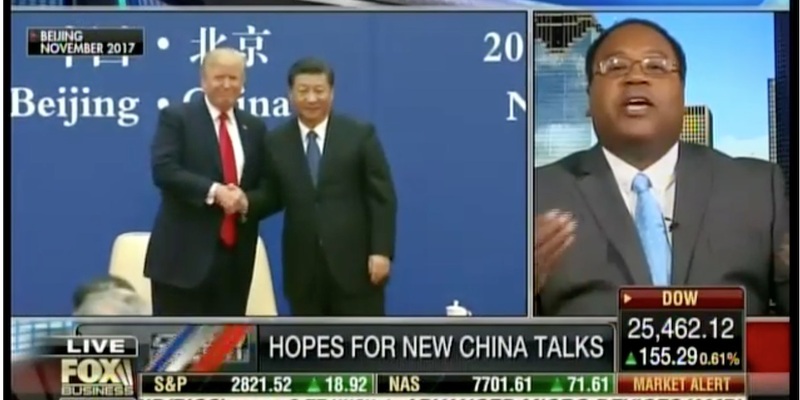 There are instances where the president of China can talk to the President of the United States directly about specific issues. And, in order to maintain a healthy relationship, you might see some responsiveness. But that’s not gonna be able to be a tool for every problem. Broadly speaking, even top-dollar lobbyists aren’t going to be able to change the fact there isn’t overwhelming support – there isn’t even moderately high support in Congress or in the media or among the public – for a continuation of the policies that exist.